This is how you say it so when you serve it, you can look like a worldly pro. You’ll thank me later. 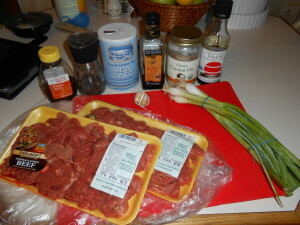 First, gather all of your ingredients: beef, honey, sesame oil, tamari or coconut aminos, garlic, green onions, and s&p. A lot of recipes I come across call for rib eye or sirloin. I used the cheapest cut of beef I could find. 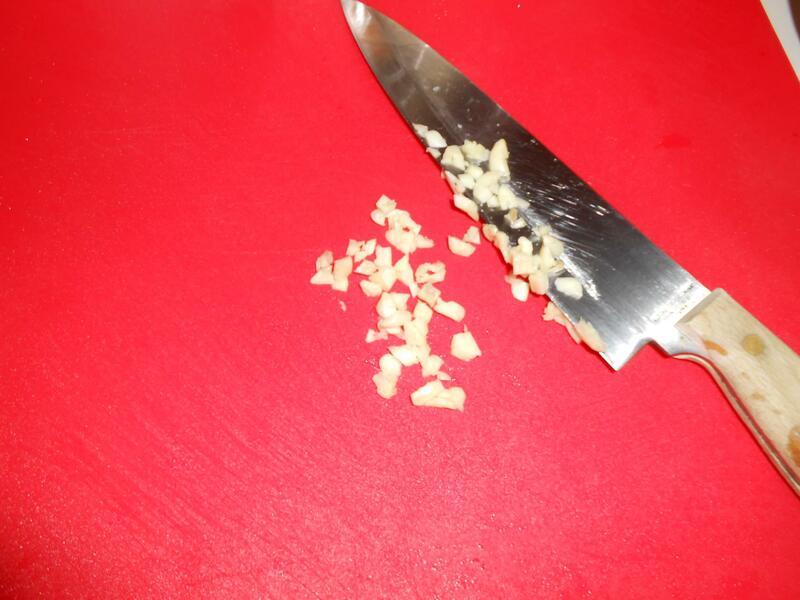 It probably makes a big difference in texture, but chopped steak or fajita cut steak worked just fine for me. Not to mention it’s about $3 less per pound than the rib eye. 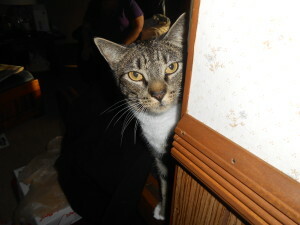 Of course my sous chef was there for the presentation of the ingredients! 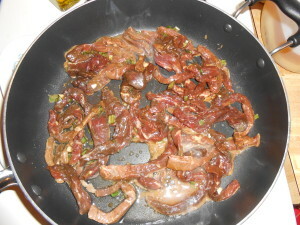 If you are an overachiever and bought rib eye or sirloin, slice your steak into bite-size pieces or strips. 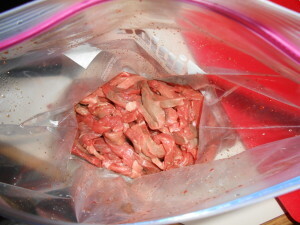 Because we are going to marinate for a few hours in the fridge, I tossed the beef in a plastic bag to make life easy. Toss them in the bag with the beef. 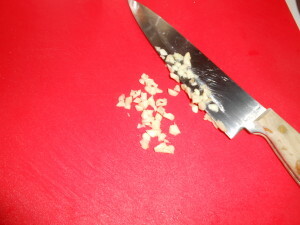 Add in the salt and pepper, honey, sesame oil, and tamari or coconut aminos. 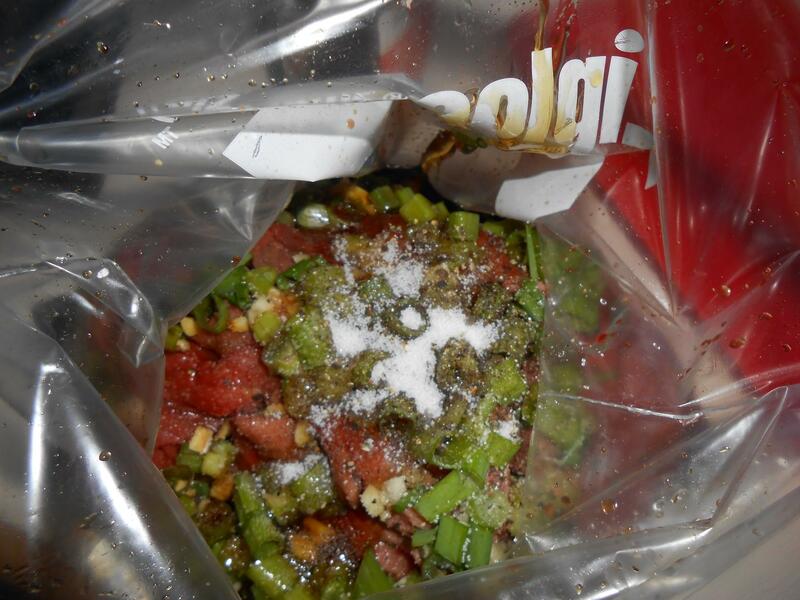 Give it a good shake and seal up the bag. Let this marinate anywhere from 4 hours to overnight in the fridge. Once the allotted time has passed, take the beef out of the fridge and prepare the kitchen for cooking! Sasha even woke up from her nap to see what’s going on. 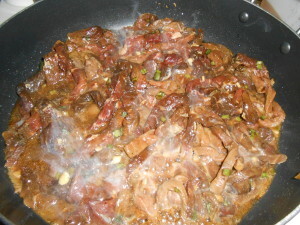 Place a single layer of the sliced beef in the pan and let cook for about 1-2 minutes on each side. 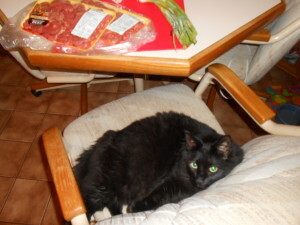 Your cooking time will differ depending on the size of your beef slices. 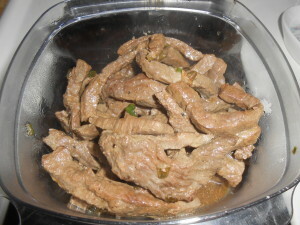 It took me about 3 batches to get all the beef cooked. You can be meticulous and take the beef out of the bag, strip by strip, like a human being. 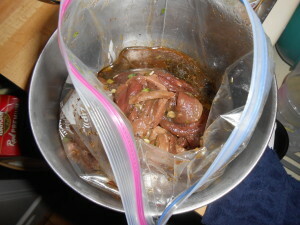 But I was feeling lazy, so I just dumped the last batch into the pan – marinade and all. This probably wasn’t a great idea because the meat ended up steaming instead of frying, but the sauce it made was absolutely delicious. If you are going to eat this in a non-Paleo fashion, the sauce is amazing over white rice. For those of you who are Paleo followers – the sauce is also amazing over broccoli. And here’s your finished result. Nothing glamorous or jaw-dropping to see here. 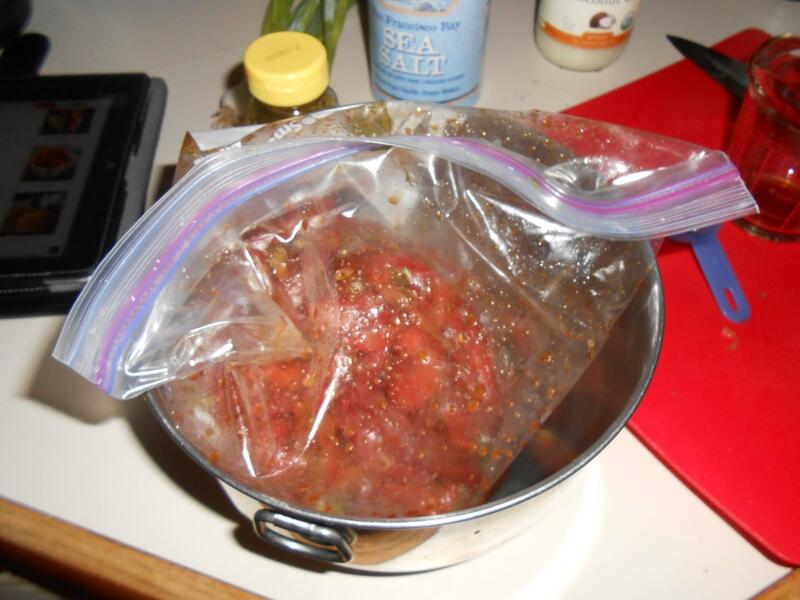 But let me tell you something…the longer this sits in the fridge the more flavor the meat picks up from the sauce and the more delicious it becomes! This was a great lunch idea because it lasted me all week! I changed up my sides between broccoli and stir fried veggies, but the broccoli went really well with the flavors of the sauce. Thanks for stopping by and have an Aloha day! Slice your beef into thin strips or bite size pieces. Place in a large zip-lock bag. 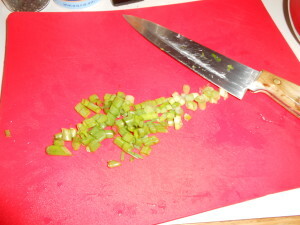 Chop garlic and green onions. Add to the bag. 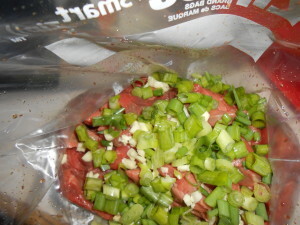 Combine the remainder of the marinade ingredients in the bag, seal, and mix well. Refrigerate anywhere from 4 hours to overnight. 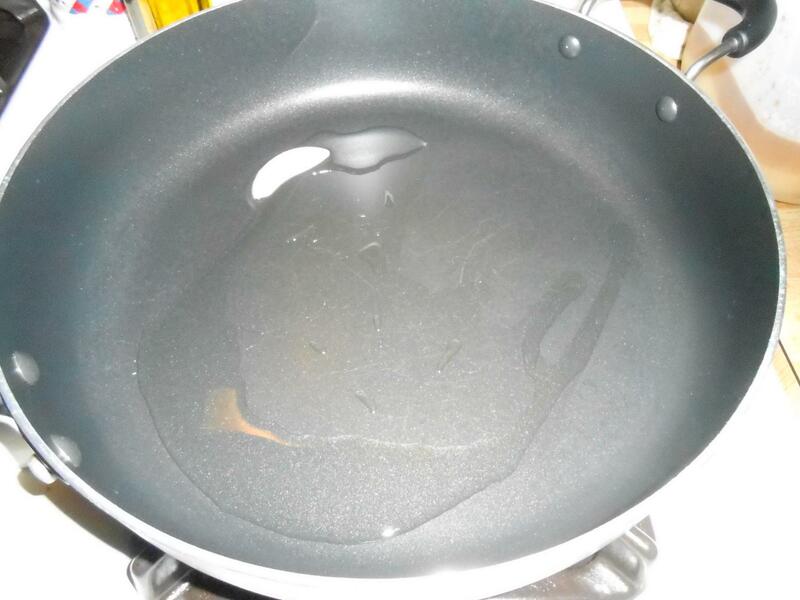 Heat coconut oil in a large frying pan. 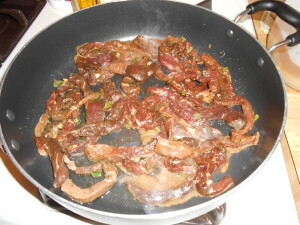 Using tongs, place the sliced beef in a single layer in the pan and cook for 1-2 minutes on each side. 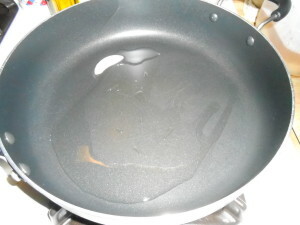 Depending on the size of your pan, it will take 3-4 batches to cook all of the meat. If you are lazy (like me) or like sauce, just dump the meat and the marinade into the pan and cook for 8-10 minutes. The difference here is that the single layer strategy will give you more of a sear on your beef as opposed to dumping everything into the pan, which yields more of a steamed beef dish. Serve with stir fried veggies, broccoli, or rice.